Europeans and Americans are gluttons for punishment. Demon's Souls and its far-less-annoying-to-pronounce sequel Dark Souls are games that, at their hearts, are about brutally beating the player into submission. This merciless attitude rendered Demon's Souls a surprise hit back in 2009, ensuring that a sequel, Dark Souls, would see release on Western shores. 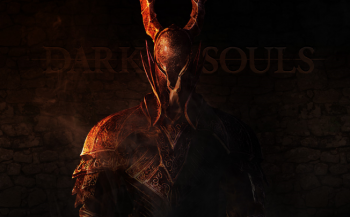 Namco Bandai has announced that Dark Souls has become a certifiable hit on its own, breaking the million-sales mark outside of its native Japan. Specifically, that's 1.19 units sold across Europe and the United States on both the Xbox 360 and PS3 platforms. This number is likely to only go up with the upcoming PC release, given that the popularity of games like Super Meat Boy or I Wanna Be the Guy demonstrates that there is certainly a market on the PC for games that crush players' souls and spirits before grinding them beneath their feet. These may not be Call of Duty-level numbers, but they're still impressive for a type of game that would have been charitably called "niche" at best. Nor do these numbers include sales in Japan, where the title was self-published by developer From Software and not Namco Bandai. We may not have lifetime numbers for Dark Souls in Japan, but we do know that it was a hit there as well - it sold almost 300k copies in its first week on sale back in September. It's not particularly surprising that Japanese gamers would be all over a game like Dark Souls, though. This is the country that brought us the bullet hell genre, after all - to them, this must be the sort of game they play to relax and unwind.